 Maple Lodge Nursery was opened by Director Kevin Northey in 1991 on Moor Road South in the the heart of Gosforth, one of the longest established nurseries in the area Maple Lodge prides itself on providing a quality childcare service to all users. The ethos at the heart of the nursery is ‘Learning through Play’, if children are enjoying themselves they will learn and achieve. 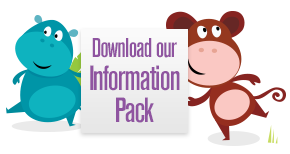 This ethos is echoed in the Early Years Foundation Stage which was launched by the government in September 2008 and revised in September 2012 as the curriculum guide for nursery settings to follow. Maple Lodge Nursery can accommodate children from 6 weeks to 5 years and is registered for 59 children. Children attending the nursery are grouped into five individual playrooms depending on age and stage of development. Children are observed and monitored to progress their development and are assigned a key worker who monitors and encourages their learning. The setting is located over three floors only the ground and first floor are accessed by the children a vast enclosed garden allows the children with a safe place to explore the outdoors which offers learning opportunities and physical challenges. The nursery also has a separate cot room for babies in the youngest playroom to utilise. We also have a dining room which all children from approximately 18months upwards use, thus encouraging positive social interactions around mealtimes.